Dog Sprayed By A Skunk? We Can Fix That! Help For A Dog Sprayed By A Skunk! 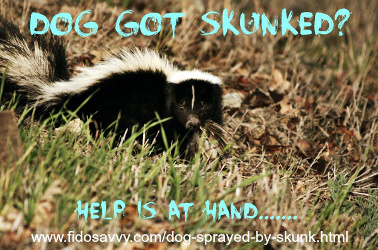 If your dog has been sprayed by a skunk, you need help, and you need it fast! That skunk-y smell is 1000 times stronger than you than you thought it was going to be. Plus the actual spray is oily, sticks to everything, and lingers for a L-O-N-G time. If you live in the countryside you might already be prepared for this eventuality, or maybe you're reading this page so that you can be prepared. Or maybe you're standing in the back yard, in the dark, holding onto a very smelly dog and wondering what the heck to do next! Either way you're in luck, because there are some great remedies and products that will de-skunk Fido and allow him to avoid being exiled to the dog kennel for the next 10 days. This may sound unnecessary as if you've ever smelled a skunk's odor then you'll know that it's pretty memorable! However, there are other signs that you may also notice (and if the spray was minimal they may be more noticeable than the smell). Any or all of the above (plus the distinctive skunk smell) usually appear either immediately, or within an hour or so. However there are a few other, more serious, effects of a dog being sprayed by a skunk. 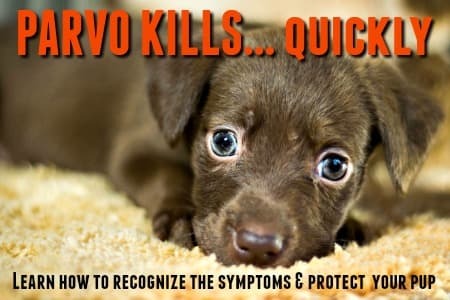 The above symptoms could mean that the skunk's spray has affected your dogs red blood cells, causing a type of anemia which can be extremely dangerous if left untreated. So, if you notice anything like this, get Fido to your vet right away. There are some great, ready-made concoctions that have been formulated to remove skunk odor from dogs. Because skunks are nocturnal, most dog/skunk confrontations happen at night, or very early in the morning. So, unless you're lucky enough to live next-door to a big superstore that stocks lots of pet products, it's best to think ahead and buy one (or more) before Fido meets the resident stink-bomb! Skunk odor removal products include shampoos, enzymatic odor removers, soaps and so on. This is probably the most popular choice, and it's easy to find online or in your local pet store. The trusted 'Nature's Miracle' brand has once again produced a formula that actually does what it says it will. Uses natural enzymes to actually break down the organic compounds in the skunk oil which cause that awful smell. Works best if you don't wet Fido's coat down first. You can also use this Nature's Miracle skunk odor remover on clothing, flooring, furniture and carpets (and if you've let Fido through the door then you're going to need to do all of that!). A gentle but effective shampoo which works great on it's own, and is also the perfect compliment to the Liquid Soaker above. Can be safely used on Fido's face, and is also safe for use on puppies over 8 weeks old. One bath won't be enough (unless the skunk simply 'kissed' your dog with his spray), but you can get two good baths out of an 8 oz bottle. Another very popular, and effective, skunk odor remover. Personally I don't think this is as good at totally removing the smell as the Nature's Miracle liquid, but it does mask any lingering odors pretty well. Be warned though, this product's smell is strong (although obviously better than that skunky horror!)... and if you get it on your hands or clothing, you're going to be smelling it for a while. If you want to stay away from the chemicals, here's a 100% natural product that actually works. The two-part application is formulated using all-natural ingredients including herbs and oils. Removes the smell gently and safely (okay around eyes, ears and nose, plus is non-toxic if ingested). Also leaves your dog smelling a whole lot sweeter! If Fido has a run-in with a skunk when the stores are closed (or you live out in the boonies) and you don't have any proprietary de-skunking products at hand, then you might need to improvise. Luckily there are a few home recipes for removing that awful skunk smell from your dog's coat. Depending on how severely your pooch has been doused in skunk oil, these may not all be as effective as the products listed above, but they will help. I can personally vouch for the effectiveness of the baking soda/hydrogen peroxide/dish soap combo! One of my dogs had a run-in with a skunk in our new home.... while everything from the old home (including odor removal products) were still packed up in boxes! This formula was devised by a chemist (Paul Krebaum of Illinois) and published in the Chemical & Engineering News in the early 1990's. If you have a large or giant-breed dog you can add some warm water to this mixture to make it go further - it won't dilute it's effectiveness by much. This mixture will sting if it gets into your dogs eyes (and could even cause damage to his sight), his ears, on his nose or into cuts/scrapes on his skin... so apply carefully to his face. You can use some vaseline around the rim of his eyes, lips and nose. A couple of drops of mineral oil, or olive oil, in his eyes can also help protect them - this is especially useful if your dog has long hair on his face. Use a bucket (NOT a bottle or covered container as this potion will fizz and expand). Add the baking soda to the hydrogen peroxide, then stir in the dish-washing liquid. Mix well and thoroughly soak your dogs DRY coat (do not wet it first). Use a large sponge, or even a brush (but be gentle!) to make sure that the mixture is worked well into the coat down to the skin. Leave on for 5 - 10 minutes, then rinse thoroughly with warm water. You'll probably need to repeat this whole cycle once or twice more. Okay, all done. Now you can dry Fido thoroughly... and breathe a sigh of relief! The hydrogen peroxide and baking soda are likely to leave your dog's coat and skin a bit dry and irritated. So bathing him with an oatmeal or other moisturizing shampoo afterwards is a really good idea too. The reason that this recipe works so well is because it causes a chemical reaction to take place between the components of the skunk oil, and the ingredients in the solution. This reaction actually breaks down the oil and neutralizes the odor, rather than just trying to mask it. That's important because the majority of home recipes for getting rid of the smell of skunk oil rely on overpowering (or masking) it rather than removing it. An up-close-and-personal encounter with skunk oil will definitely convince you that even reducing the intensity and masking that awful stench is better than doing nothing at all. Plus, you're likely to have at least some of these things in your home already, so no midnight trip to the store required. You can use a combination of tomato juice and canned, diced tomatoes to help break down the oiliness of skunk spray. Rub the mixture well into Fido's coat, let it soak for 5 minutes, then rinse clean. Follow with shampoo, rinse and dry. The combination of antiseptic and mint (if you have the Mint Flavor rather than original) will help cut through the skunk oil. Plus the same ingredients which freshen your breath will help make Fido's coat smell a bit better. Apply the mouthwash directly to Fido's fur (but stay away from his eyes,ears and nose), allow it to soak for a few minutes, then shampoo, rinse... and repeat as necessary. The acidic properties in lemon juice cut through the oil in the same way as the tomato juice or antiseptic. Obviously you'd need a LOT of lemons to soak a dog's fur, so this works best if you have bottled lemon juice in your refrigerator. Just soak Fido in lemon juice (again stay away from his eyes, ears and nose), allow it to soak into his fur for 10 minutes, then wash out with warm water and shampoo. Rinse... and repeat if necessary. The medicated component, plus the fragrance, in a douche can help remove some of the skunk odor from your dog. Simply mix (or use ready made) according to manufacturers directions and then soak your dog's fur. Allow it to penetrate for 10 - 15 minutes. Then rinse, shampoo, rinse and dry. Tea tree shampoo contains a natural oil that can help counteract the odor in skunk oil. It's also good at cutting through grease, and neutralizing that nasty smell. Mix shampoo with water and thoroughly soak your dog, then pour on and lather up with more shampoo. Leave on for 5 minutes, rinse and repeat as necessary. Dry. Heavy duty hand cleaners are perfect for removing dirt, paint, oil and other stuff from skin, and can also do an excellent job removing skunk oil from your dog's coat too. Use the recommended amount of soap to warm water and work up a good lather, rubbing it deep into your dog's coat and massaging the skin. Rinse thoroughly to remove all traces of soap so as not to irritate Fido's skin. A great choice would be Throttle Muscle TM2797 Monster Scrubber Industrial Hand Cleaner with Moisturizer. Alternatively you could try Lava Soap Heavy Duty Hand Cleaner. This soap contains finely ground pumice which is abrasive, and is great for removing dirt, paint, oil and other stuff from skin (and here, your pet's coat). Using warm water lather the soap up and work well into Fido's coat (you can use a brush to help with this, but don't scrub too hard). Then rinse thoroughly, and shampoo with gentle shampoo and rinse again. This soap can leave a gritty residue in the fur which will irritate your dog's skin if it's not removed, so you may need to shampoo and rinse a couple of times to get rid of it all. Tips for Effective Skunk-Odor Removal! Okay, so that just about covers it for products and potions that you can use on a dog who has been sprayed by a skunk. BUT there's more to effective de-skunking than just knowing what to use. Before you head off to de-skunk your dog, check out this page of tips and advice for skunk odor removal. It could make all the difference between the sweet smell of success, and the overpowering odor of failure! Home › Dog Grooming › Dog Sprayed By Skunk? 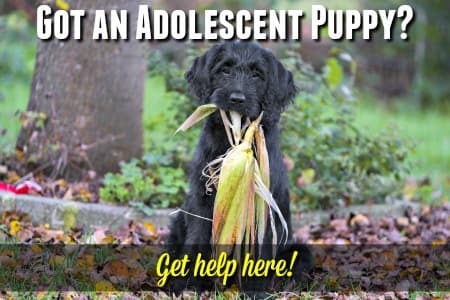 Get Help Here!